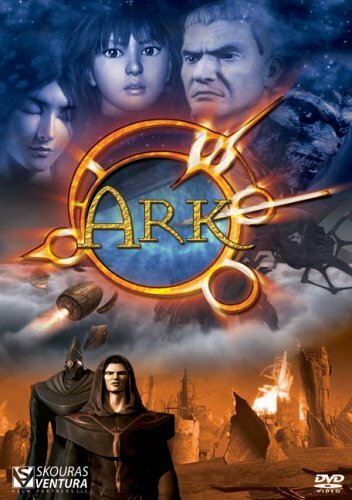 Ark takes place on a dying alien world in which a global war between two technologically advanced human civilizations has reduced the planet to a desolate wasteland. The only way to escape the dying world is by activating the Ark, an ancient giant robot capable of supporting a human city as well as traveling through space. James Woods plays Jallak, the military leader of the victorious civilization who is trying to get the Ark to work in order to save his people. Unbeknowst to him, his adopted daughter Amarinth is the direct descendant of the alien race that originally built the Ark. The civilization that lost the war has since been enslaved, and is led by a young resistance fighter named Rogan. Both human civilizations wish to use Amarinth's power to activate the Ark and leave the other civilization behind to die. However Amarinth, who has ties to both civilizations, wishes to try and find a way to use her power to save everyone. She is opposed by the lifeforce-stealing wraith Baramanda, the Empress's manipulative right-hand man who wishes to steal the power of the Ark for his own selfish purposes.